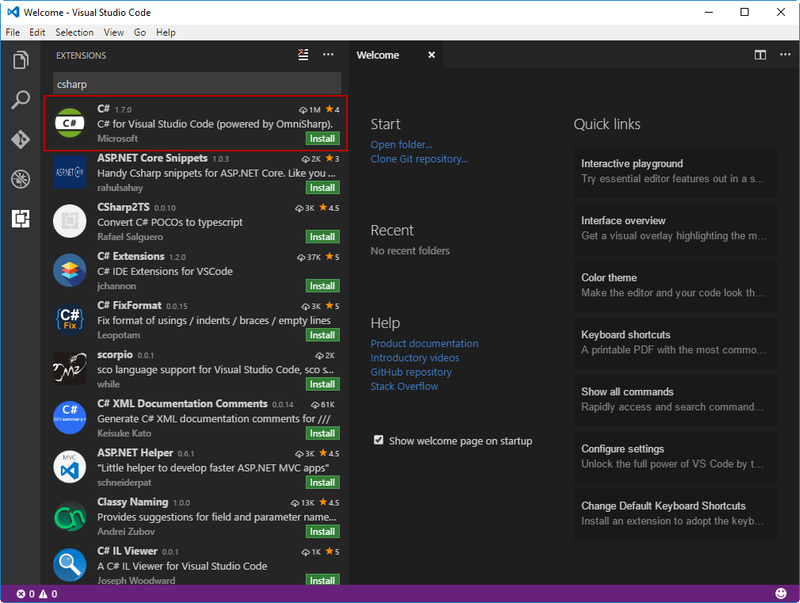 In this post, we’re going to look at how you can use Visual Studio Code with a .NET Core Console application. I typically hit the reload button afterwards to make sure that it took. 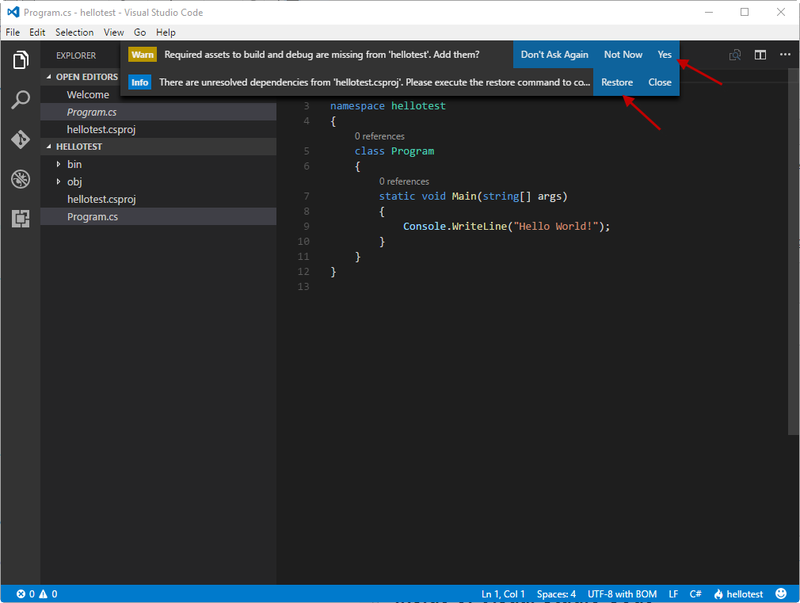 Note: I’m using the latest RC of .NET Core and YES, I’m very aware that you can create a .NET Core Console app inside of VS Code. Maybe a post for another day? If I didn’t specify it then it would have created a console app anyways (in the current LTS), but we need to get into the habit of specifying the type as it may change. Restore the packages by typing dotnet restore and build it with dotnet build. 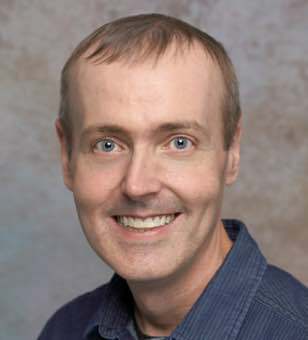 Just keep in mind here that it displays “Hello World”. Pro tip: You can open files directly in VS Code from the command prompt with code filename.cs. 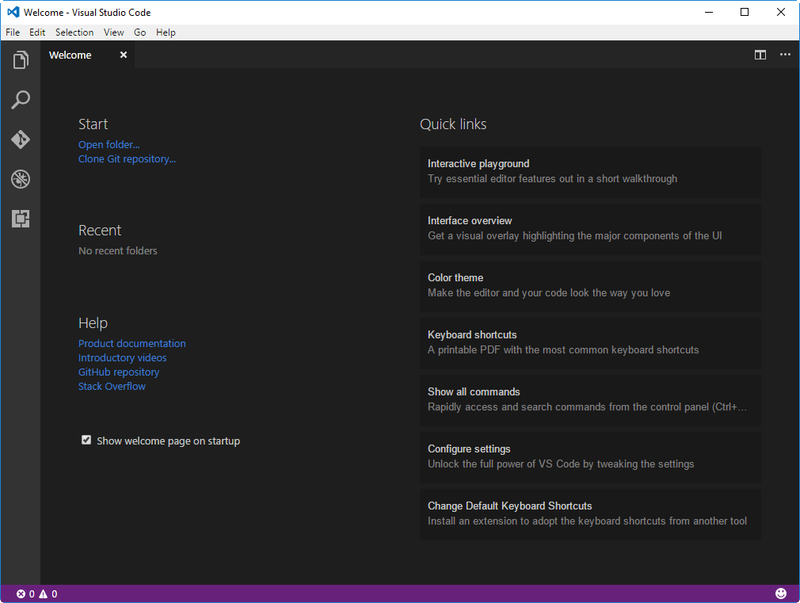 Switch back over to Visual Studio Code and open the folder of the Console app that you just created. 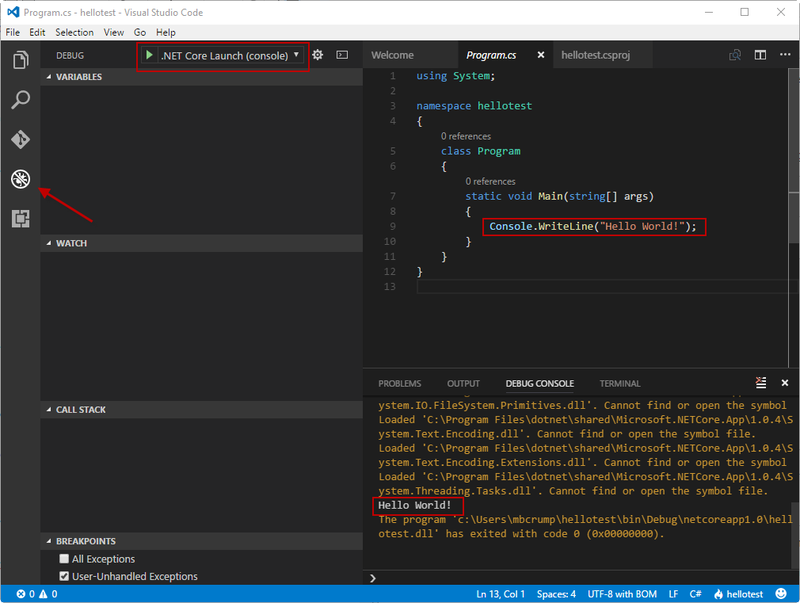 Click on the Debug icon, and make sure .NET Core Launch is selected and hit the run button. You should be able to see in the Debug Console the result of your console app.